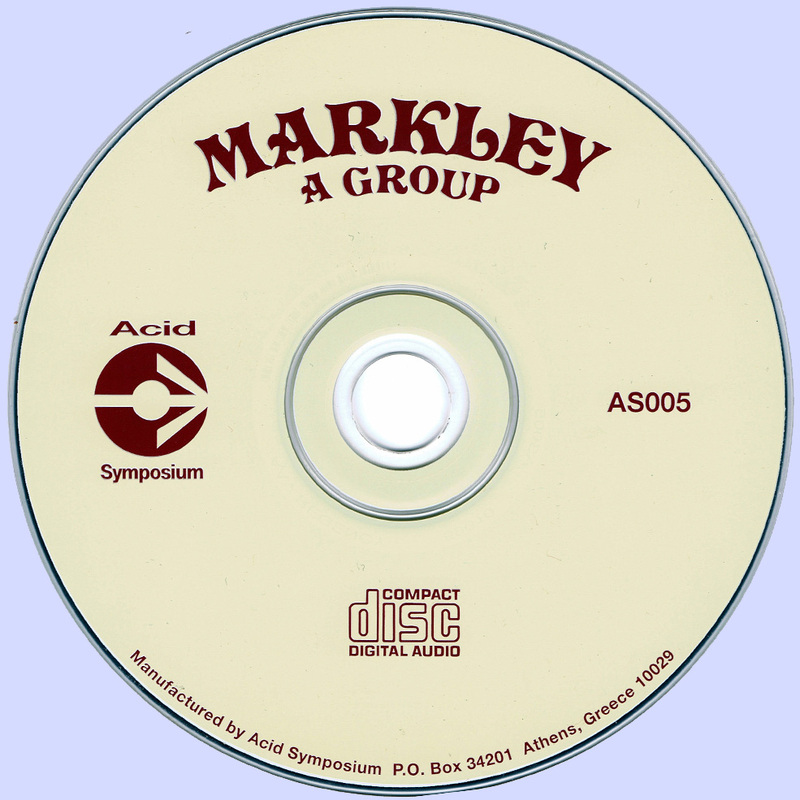 Except in name, for all intents and purposes, 1970's "Markley - A Group" served as the final LP by The West Coast Pop Art Experimental Band. For a band about to collapse, musically 1970's "Markley - A Group" is surprisingly consistent and accomplished. With Markley and Lloyd co-producing, tracks such as "Elegrant Ellen", "Sweet Lady Eleven" and "Magic Cat" are nearly as good as some of the highlights from the WCPAEB catalog. Lyrically the set found Markley again engrossed in fighting personal demons (the paranoid sounding "Roger The Rocket Ship") as well as unloading on a host of social evils while finding time to express an keen interest in young (emphasis on young) women. Along those lines check out Markley's sh*t eatin' grin on the back cover, as well as his non-too-subtle lyrics on songs such as "Next Plane To the Sun" and "Sarah The Bad Spirit". Luckily, Lloyd's influence is quite apparent in terms of the album's rich harmonies and full and delicate arrangements gracing selections such as "Elegant Ellen" and "Little Ruby Rain". Interestingly, on a number of tracks the band opts for a more commercial sound. Overlooking Markley's anti-capitalist rant, "Zoom! Zoom! Zoom!" almost sounds like a slice of Kasenetz-Katz-styled bubblegum rock. The album's other big surprise is found in Dan's emergence as a major writer. Credited as co-writing eight of the twelve tracks, he kicks in several impressive numbers, including the dazzling country-rock opener "Booker T. & His Electric Shock". A highly personal effort, the song was reportedly inspired by Dan's experience as a manic depressive subjected to electroshock therapy. Surprisingly enjoyable and worth the investment. Needless to say, the album vanished without a trace; the band calling it quits shortly thereafter. Shaun recorded an instantly obscure solo album. Lloyd went on to considerable success as a producer. Really superb group. I like this one. Thank you very much! Thanks Marios! I'm finally starting to appreciate Bob Markley a bit rather than just thinking of him as talentless, lecherous megalomaniac who bullied the younger musicically talented members of WCPAEB.